Photo courtesy of Dell Inc. It would be difficult to say that the Internet has not had a significant impact on mankind. Consider the fact that it has allowed us to instantly connect with people from across the globe, learn of Earth-shattering events in a split second and has put an array of resources at our fingertips, and you could consider it the most powerful tool ever created in human history, at least so far. But what if the access to this information was under threat? What if Internet companies started slowing content from being accessed due to what some could rightfully call greed? This is a fear many Americans have with regards to the Internet’s future, and these fears are not too farfetched. Level 3, a communications service company that works with Internet service providers (ISPs,) accused five American providers and one European provider of purposely degrading the quality of their Internet services in an attempt to get Level 3 to pay fees to help with additional traffic. This degradation had caused services like Netflix to slow down. It gets even worse. Comcast, the United States’ largest cable and Internet provider, was caught slowing down Netflix’s streaming capabilities. This is despite the fact Netflix had purchased access to all available routes from Comcast in order to provide their video streaming services to customers. As video quality fell to below DVD levels, Netflix had no choice but to pay Comcast for better connections, which almost immediately resulted in an improvement in the quality of Netflix’s video streams. As these claims became more known by the public, it was no surprise that calls for action begin to emerge. This action is called net neutrality, and it aims to assure content on the Internet is accessed easily without fear of having content slowed down. How? Through regulation and oversight from Federal Communications Commission (FCC). The plan, which has gained support from not only websites like Reddit but also President Barack Obama, would have the FCC set up new guidelines for ISPs, including regulations that would require companies to wire every house with Internet access similar to how telephone companies are required to set up homes for telephone service. The FCC would also have the power to set price levels, and would mandate that all content gets treated the same regardless of the source. 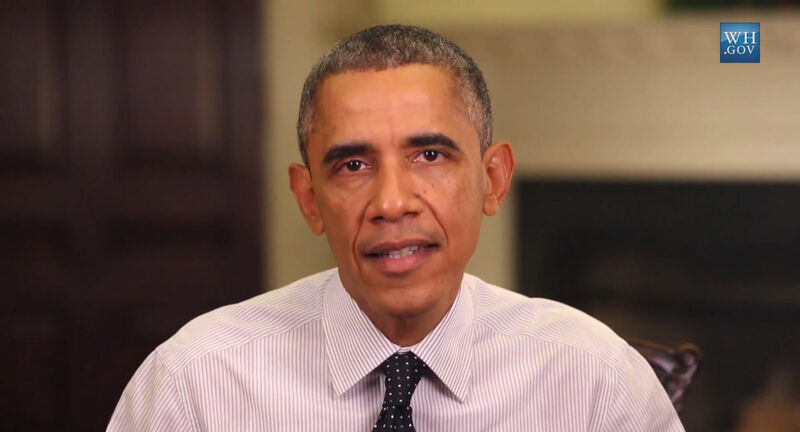 President Barack Obama in a November 10 video address on net neutrality. Photo courtesy of the White House. It’s easy to see why this idea is popular. 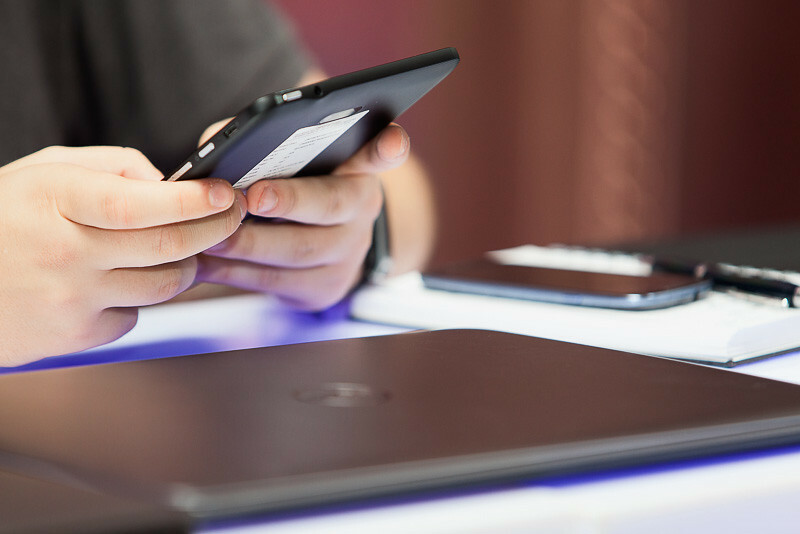 Many people are frustrated with current providers in their area and feel that if something is not done, the future of the Internet may be threatened. Matthew Inman, creator of The Oatmeal webcomic, argued that net neutrality would help keep the Internet free and fair for everybody. While Inman’s beliefs about the Internet are insightful, seeing as they come from someone who provides continuous (and humorous) online content, there are large doubts that the FCC could effectively and properly regulate the Internet. The Internet has largely been unregulated since its creation, and while there has been a few issues, regulation in the form of net neutrality could harm ISPs as well as this technology’s rate of progress. The first issue with net neutrality starts with the act that would be used by the FCC. In addressing slower access in certain parts of the country, such as rural areas, the FCC will use powers bestowed in the Communications Act of 1934. More specifically, Title II of the Act, which focuses on common carriers. Under the current proposal of net neutrality, ISPs would be subjected to universal service requirements, similar to how telephone companies are required to wire telephone lines to every house regardless of cost to the company. This makes no economic sense, as it is costing companies to do a task that may or may not be needed in the future. Consider how many people today still have home phone lines, and you can easily see why. It doesn’t help ISPs prepare for the future. It is a waste of financial resources that could instead be used by corporations to increase Internet access and improve speed. The second issue lies with the FCC itself. While their early role was to help license radio and television stations to protect the airwaves from being overcrowded with too many stations, the FCC’s power has grown a tiny bit slower than the rate of technological process. Each time something new has been introduced, the FCC has followed it with scores of regulations which has limited certain technologies from growing. An example of this can be found with cable television. In his May 18 piece for Reason.com, Brent Skorup detailed how the FCC’s almost killed the cable industry in the 1960s in the name of protecting traditional broadcast stations. Lucky for us, the FCC was forced through legal battles to scale down their regulation efforts, which allowed cable television to grow and provide more services than ever before. Again, growth occurred due to decreases in regulation and oversight, not because of an increase. Why should we give the FCC oversight over arguably the most powerful resource in modern society and risk its future advancement? If we did, there would be the threat of too much regulation, which could limit services and hinder future technological advancements. The third issue lies with the fact that regulating ISPs does not make much business sense, especially with growing competition from wireless companies. 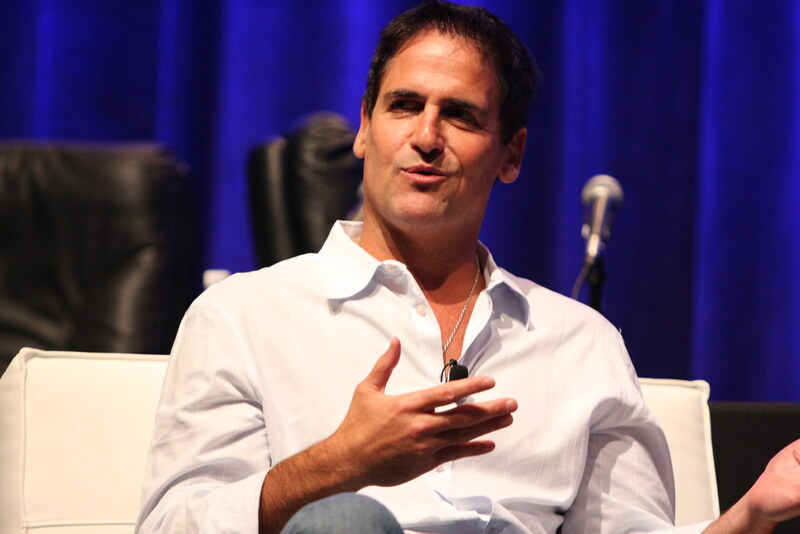 As entrepreneur and owner of the NBA’s Dallas Mavericks Mark Cuban explained to Business Insider’s Steve Kovach, wireless 4G LTE networks from companies like Verizon Wireless are able function at equal or faster rates than broadband services sent directly to your home, and should be considered a threat to the prominent ISP connection. Entrepreneur and owner of the NBA’s Dallas Mavericks Mark Cuban, seen here in 2008. Photo courtesy of Brian Solls. With these concerns, it’s obvious that net neutrality is not the best solution for protecting the Internet. But does that mean Americans just have to accept getting pushed around by bullies like Comcast in the name of progress and human advancement? Absolutely not. Instead, the solution to our problems comes from the free market. One of the reasons some ISPs are able to mistreat their customers is because they hold monopolies in many parts of the nation. This is primarily due to local governments imposing barriers to entry in order to protect access to publicly owned “rights of ways,” which allow ISPs to place their wires above and below public and private property. ISPs have to also agree to contracts with public utilities to use utility poles or underground ducts. The problem with this protection lies in the fact that it can cost tremendous amounts of money to construct networks due to local fees, limiting the amount of competition the local economy has to offer. This is not because “rights of way” are necessarily expensive, but rather because local governments and public utilities charge ISPs far more than what they need to be charged. One example pointed out in a July 16 Wired column states that “rights of way” and pole attachment fees can double the cost of network construction. As a result of these high costs, many ISPs do not feel encouraged enough to enter a new market, limiting this small area to only a few providers. Yet when local governments reduce these costs and fees, it allows more competition and gives consumers real options for Internet service as well as keep incumbent companies on their toes when it comes to prices and service. In nearby Raleigh, for example, Google is considering introducing its Fiber Internet service to serve as an alternative to the all but omnipresent Internet from Time Warner Cable. Google is already making some big claims to get consumers on their side, promising connections “up to 100 times faster than today’s average broadband speeds,” though it comes at a higher price of $70 a month. 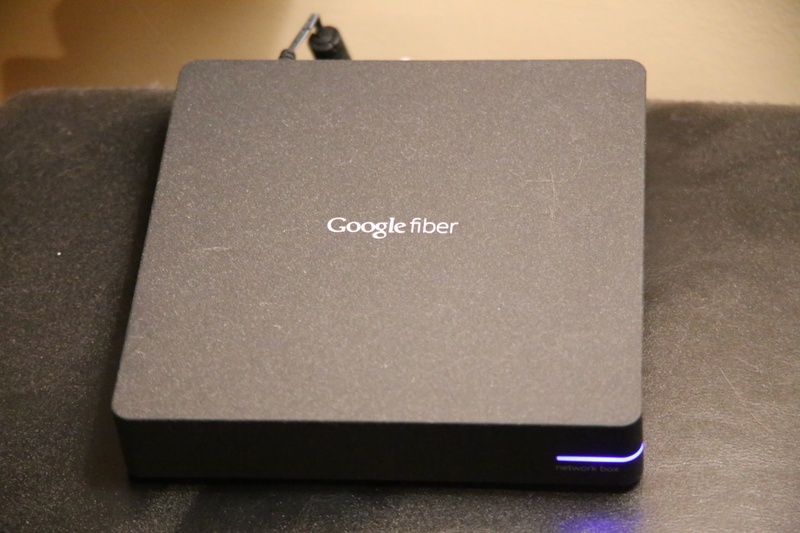 Google Fiber network box. Photo courtesy of Paul Sableman. Sure enough, Time Warner Cable, feeling Google’s pressure, announced it was offering upgrades and speed increases to its broadband services. The first cities to be upgraded include Austin, Texas, where Fiber is already being laid out thanks to local government assistance. TWC also added that other cities would be offered services soon, including Kansas City, Mo. (a city which, like Austin, helped Fiber by lowering the costs of “rights of way”) and, surprisingly enough, Raleigh. Solely the fear of competition made TWC change its services. Imagine what real competition would do. While the current state of the Internet is not acceptable, handing over control to bureaucrats at the FCC makes no sense whatsoever. With that control could come unnecessary regulation that would force companies to spend funds on meeting certain standards instead of researching new and better technologies. Like cable, it would be best if the Internet was untouched, allowing it to prosper and be more serviceable to the consumer. Yet if we want real change to occur, we must pressure local governments to lower fees of “right of way” to allow more competition. It’s easy to understand where content makers like Matthew Inman are coming from. They want to make sure their product is protected from abusive ISPs. But putting your trust behind independent bureaucrats seems unreasonable, as allowing any branch of the government to regulate the most powerful source of information in the modern world could result in preventing further growth and development. Yes, not having net neutrality means evils like Comcast will continue to exist, but if we apply pressure to local governments to lower costs and fees, competition will come, and with it better providers and services, allowing Comcast to face the brute force of what its competition can offer.